Regulars to my blog will know of my passion for Dahlias. They’re amazing flowers that never fail to put a smile on my face. They come in a vast range of colours and shades, but, never blue and quite rightly so, a blue Dahlia is just wrong! Their shapes and sizes are also wonderfully varied, never allowing you to bore of their splendour. If I was a mathematician I would wax lyrical about their geometric patterns and Fibonacci numbers, but I’m not, I just love how some are pom poms, some open flowered, others water lily shaped and the show stoppers are the size of dinner plates! Once they start flowering in late June/July they don’t stop until the first frosts, they’re the best cut flower you can grow and my home never looks better when filled with their blooms. If I was to be hyper critical and in the pursuit of a balanced argument, they are lacking in scent, but it would only lead to a sensory over load whilst taking in their magnificent appearance, so a lack of scent is a good thing! http://www.peternyssen.com/ – A very dangerous web site, their bulbs are amazing and I just can’t stop myself, I worry every spring that the husband will notice the number of new bulbs I’ve invested in! 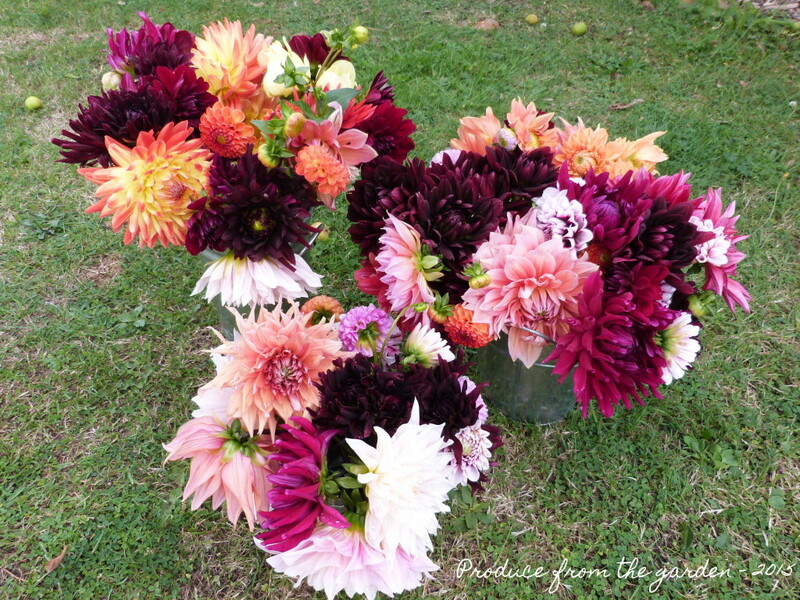 http://nationaldahliacollection.co.uk/ – another great dahlia shopping site, they’re based in Cornwall near Penzance, you can visit their amazing dahlia fields in the summer, well worth a trip if you’re on your holidays in that neck of the woods. Plant up the tubers in approx. 10inch x 10inch pots (enough room for the dahlia to comfortably sit), water and keep them in a green house, conservatory etc. They’ll start to shoot, feed them every few weeks and keep watered. Don’t plant them out until the end of May when there’s no chance of frost, you’ll have nearly a foot of growth, and they be strong healthy plants that will be sufficiently mature to withstand a slug and snail attack. 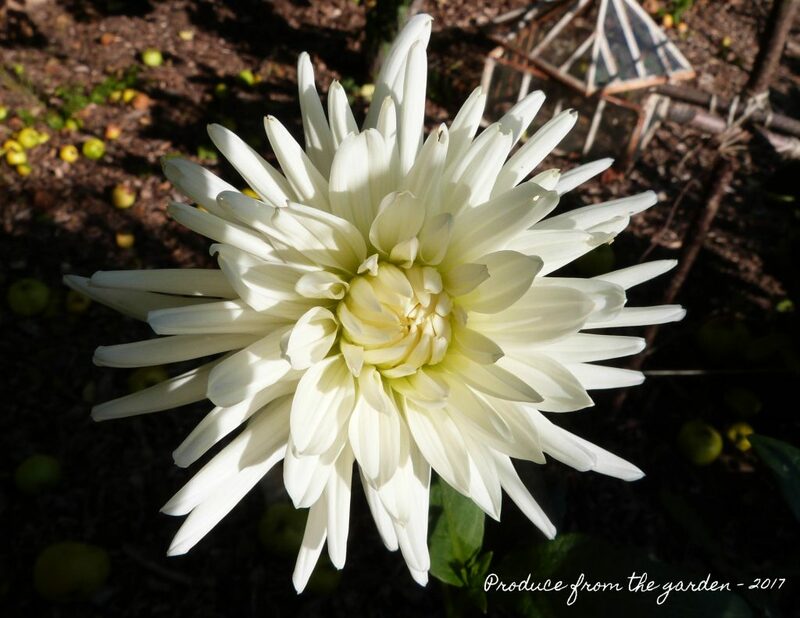 Dahlias are quite greedy plants, they like to be planted in ground that has been enriched with manure/ chicken poo pellets, in fact any fertiliser. 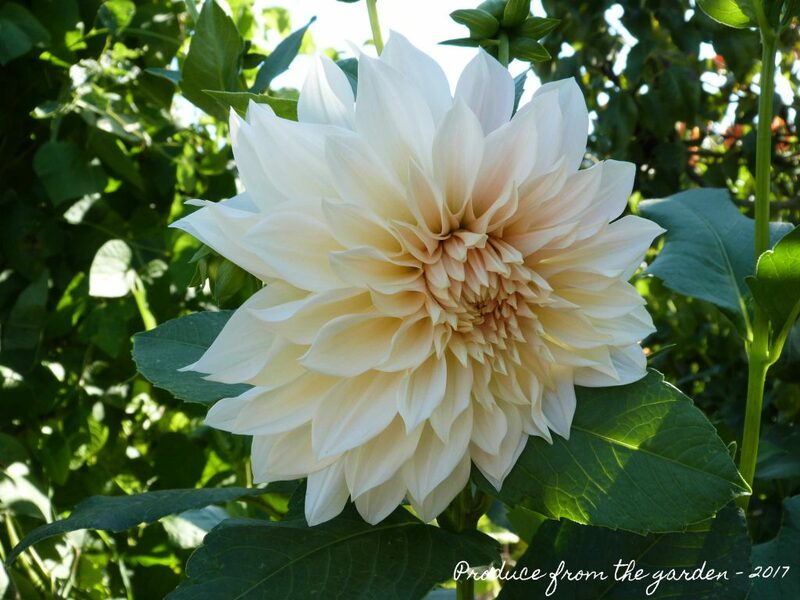 Once planted you’ll need to stake them, many dahlias can hit a meter or more in height and width. A strong breeze will snap the stems destroying a dahlia plant in its prime. Either cut the flowers for the home or let them put on a show in your border. 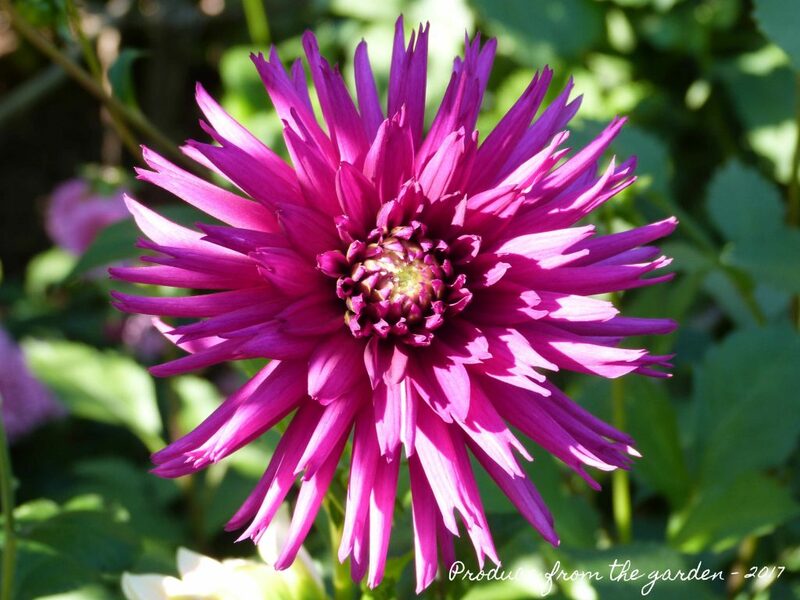 If you’re not treating them as a cut flower it’s important to snip off the spent buds after flowering, dahlias are a cut and come again crop, that will stop flowering if they think they’ve gone to seed. Clip the for the pointy Spent buds, the dome shape buds are about to flower. 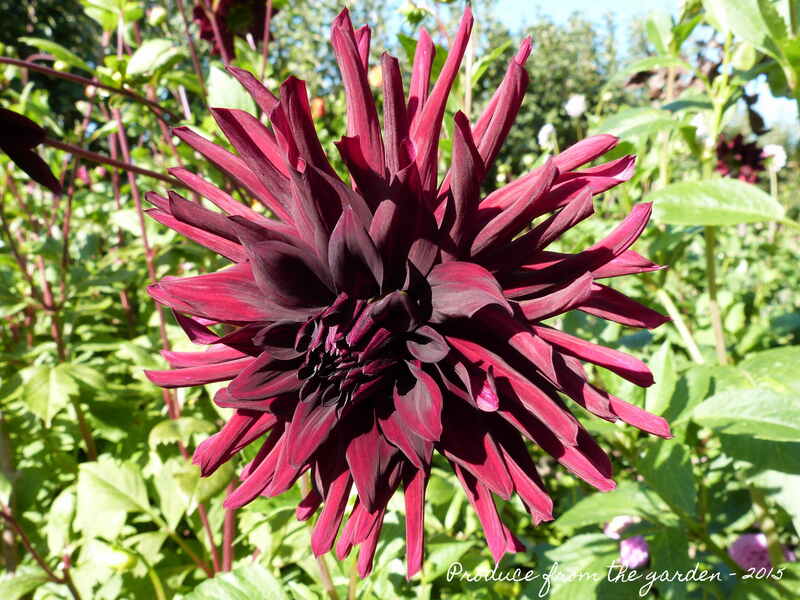 After the first frost the dahlia foliage will go black. 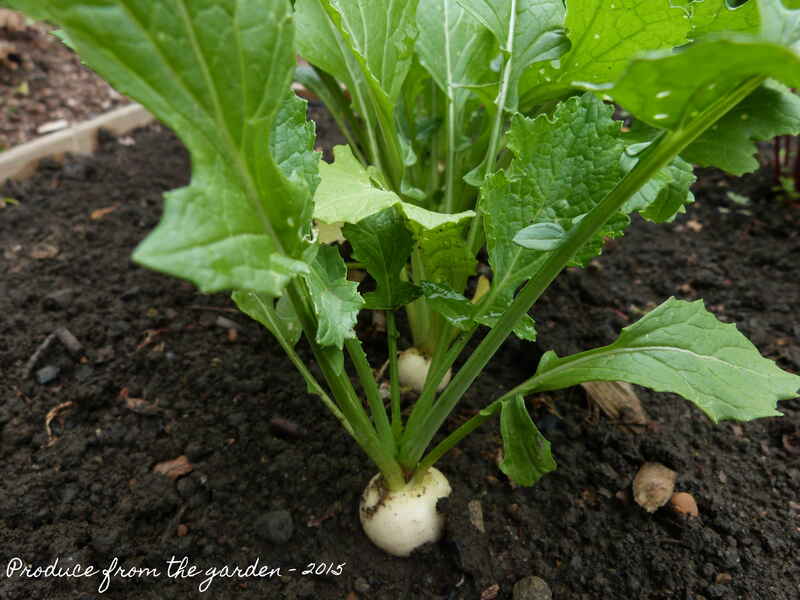 You need to decide if you’re going to dig up your tubers or leave them in them planted over winter. Being a fan of low maintenance gardening techniques I leave mine in. I cut back the black foliage leaving a foot of stem (it’s a marker so you know where to look for new growth next year), I then mound up with 12 inches (30cm) of insulating mulch (wood chip, manure etc. ), I’ve managed to successfully get dahlia through winters hitting -10°C. In spring, knock back the mulch ready for shoots to break through, do bear in mind this will be latter than the one brought on in the green house. 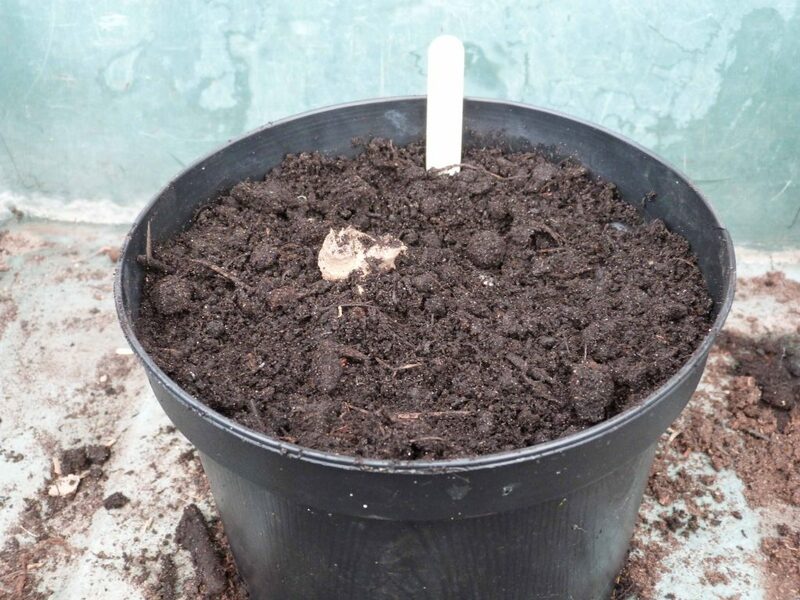 If you’re far more organised than me, want to ensure the survival of your dahlias over winter and bring on an earlier flower crop (June instead of July) dig up the tuber, (don’t store them in a tray like the books say, you’ll lose loads to rot), pop them in a pot with compost. 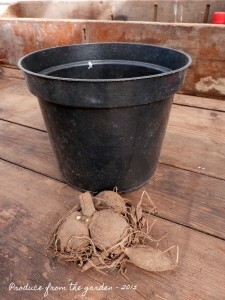 Very lightly water and then just leave in the greenhouse over winter, when they start to shoot in Spring just follow the same steps as when you plant a new tuber. You can never have too many dahlia plants! 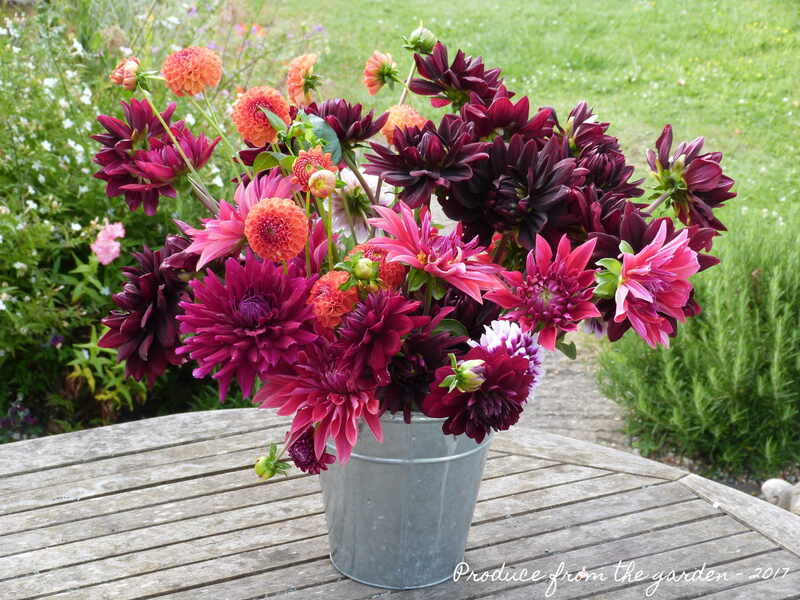 So, if you’re new to growing dahlias you’ll soon want to know how to multiply your stock. When you’re growing dahlia tubers in pots you only really want five or six main stems, the others can be cut off, taking a little snag of tuber, pop into compost and grow on in the greenhouse, soon you’ll have a new plant. Just one tip, if the stem is older and hollow the cutting won’t take, it must be solid. Once the cutting starts growing and has a good root system, pot it on. 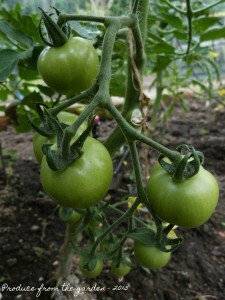 It might not flower this year and it will benefit from staying in a pot and not plant out, a tuber will form over summer take the pot back into the green house for winter and then plant out the following year. This is the first year I’ve sown dahlia seeds, previously I’ve not gone down this route as I usually can’t stand the faddy duddy colours that the dahlia seeds often come in. However, I saw a cheap out of date packet of mixed colour pom poms and I couldn’t resist. 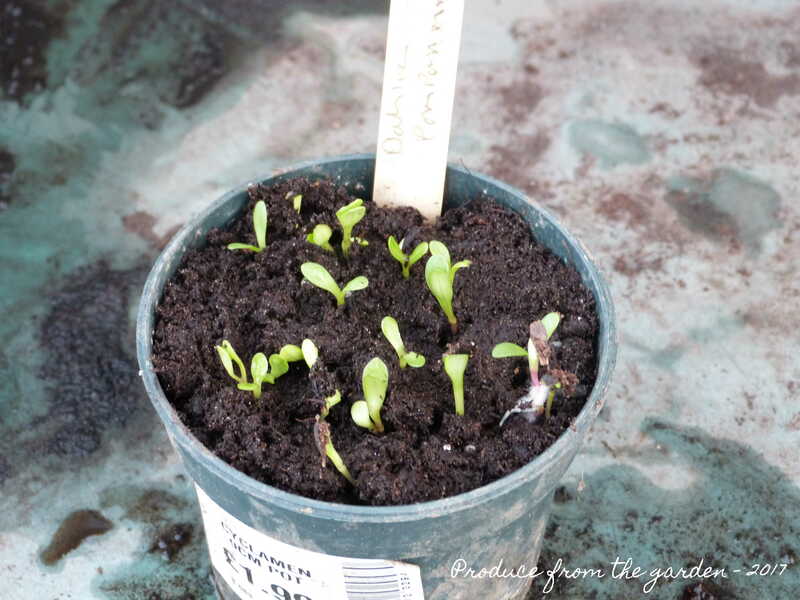 Once sown I popped the seeds in my propagator and they germinated within four days. I’ll report back on their success, I’m keeping my fingers crossed for pinks and whites, I won’t be doing it again if I end up with yellows and peach flowers! Dahlia seedlings, they will need potting on in a few days. 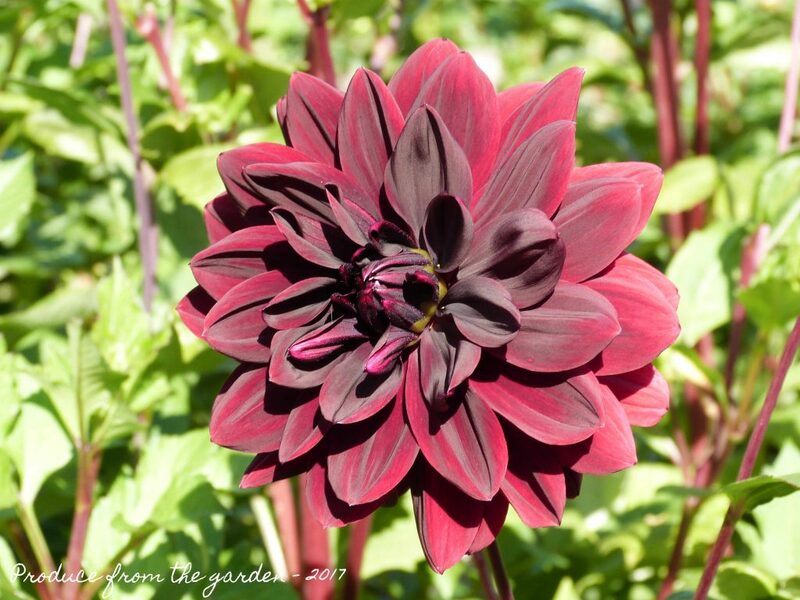 After a few years, the dahlia tubers do get to an enormous size and do benefit from being dug up at the end of the season and divided up, then following the overwintering in a greenhouse method. 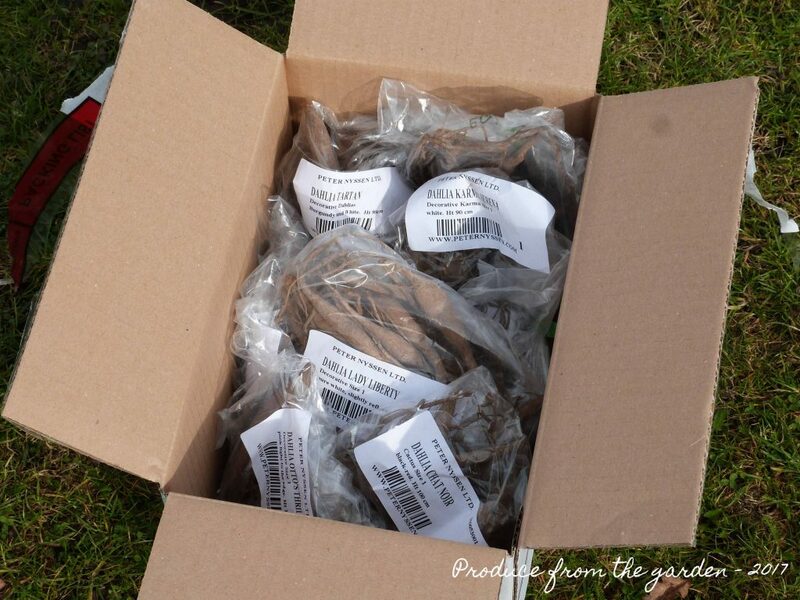 This is an easy way to bulk up your dahlia stock. 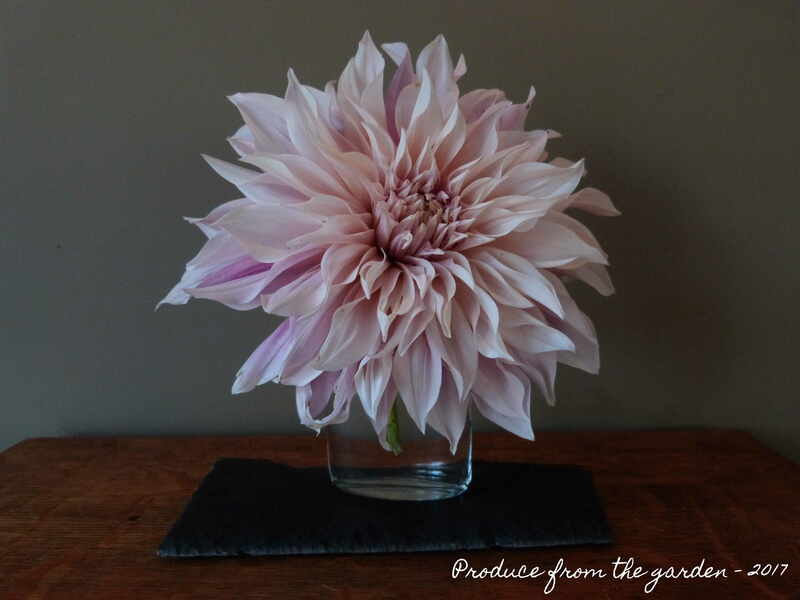 I hope I’ve inspired you to go dahlia shopping, it’s well worth it, they’re my number one flower and it’s incredibly easy to catch the slightly obsessive Dahlia bug! In our home cut flowers are as important as pictures on the wall. They bring a room to life with their colour and scent. Buying from a florist is beyond our budget and more reasonably priced supermarket flowers are generally shipped from Africa, have no scent and are often only available in insipid colours. The solution? 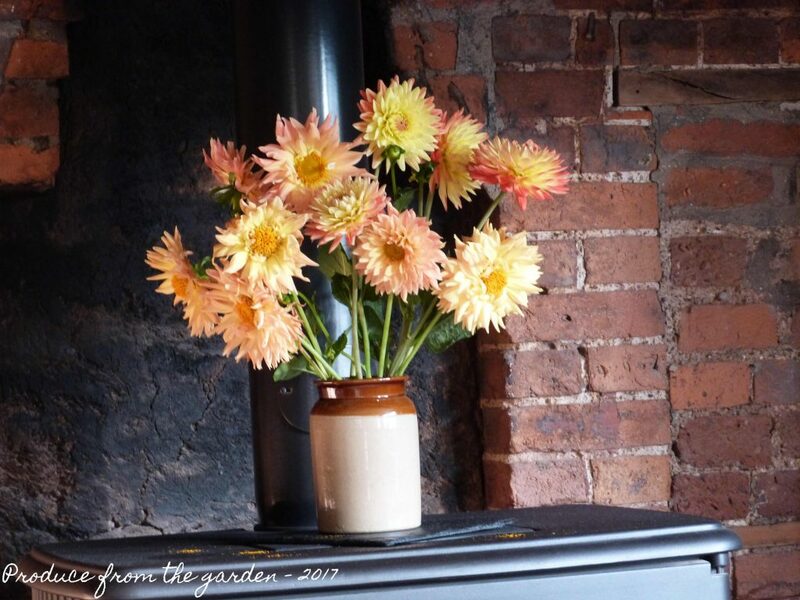 We grow our own cut flowers, filling our home with beautiful blooms for most of the year for very little money. Most flowers ideal for cutting are ‘cut and come again’, the more you cut the more they flower! 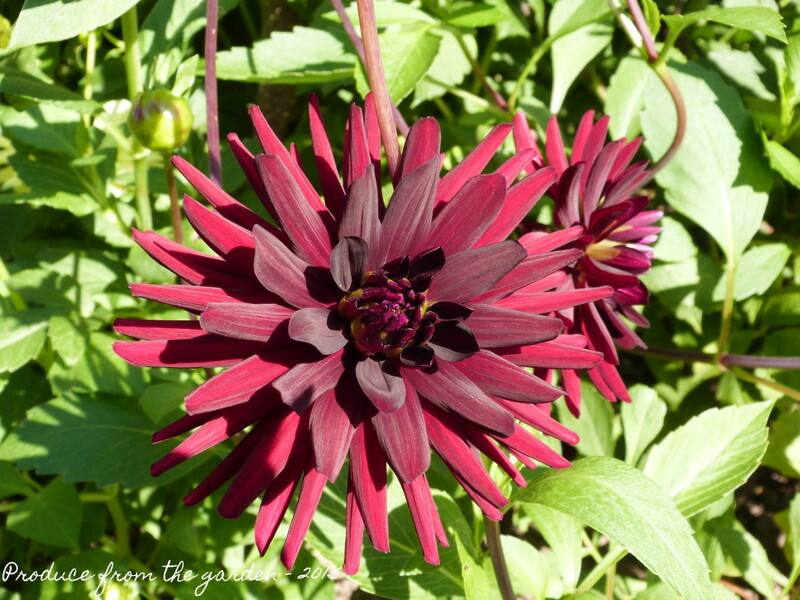 Let me inspire you to sow a few seeds or plant a tuber so you can cut your own flowers this year. Who can argue with the likes of Monet and Van Gogh immortalizing vases of Sunflowers on canvas. 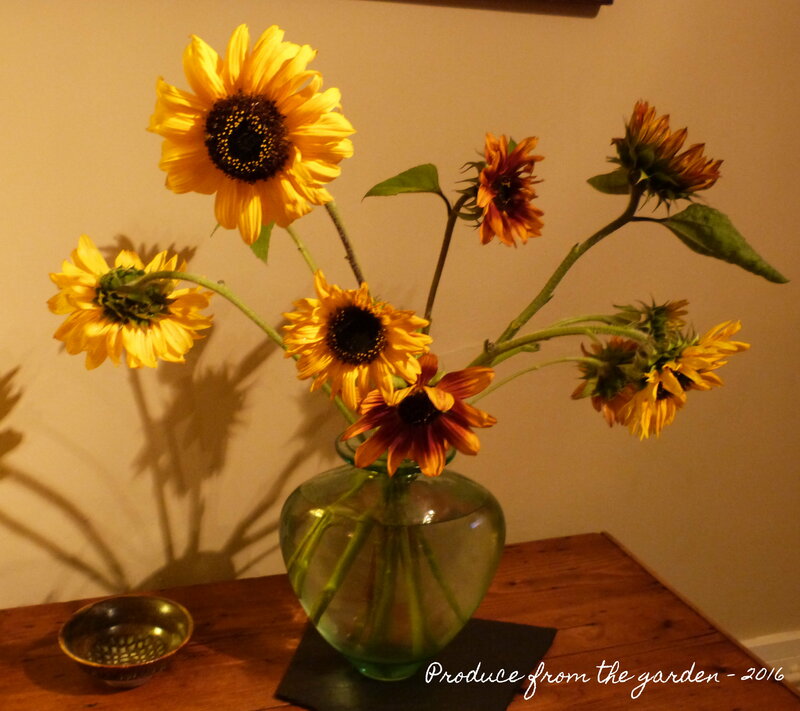 A beautiful bunch of Sunflowers brings the warmth and richness of high summer into our homes. Even on a wet gloomy English Summer day! 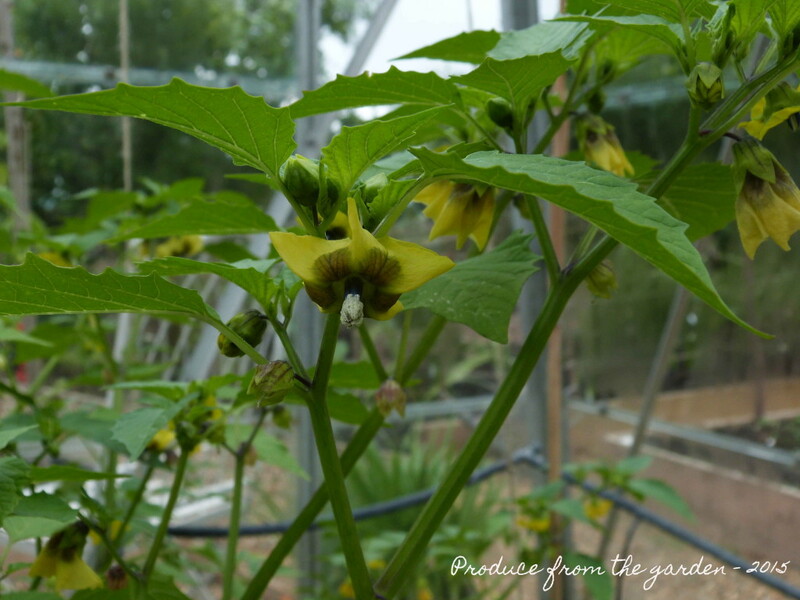 Easy to grow, they are often the seed of choice for schools. There are lots of Sunflower varieties ideal for cutting. Once the lead stem and flower is cut, it will induce growth, putting out multiple side shoots and flowers. Sow seed March to May in pots, not directly in the ground. 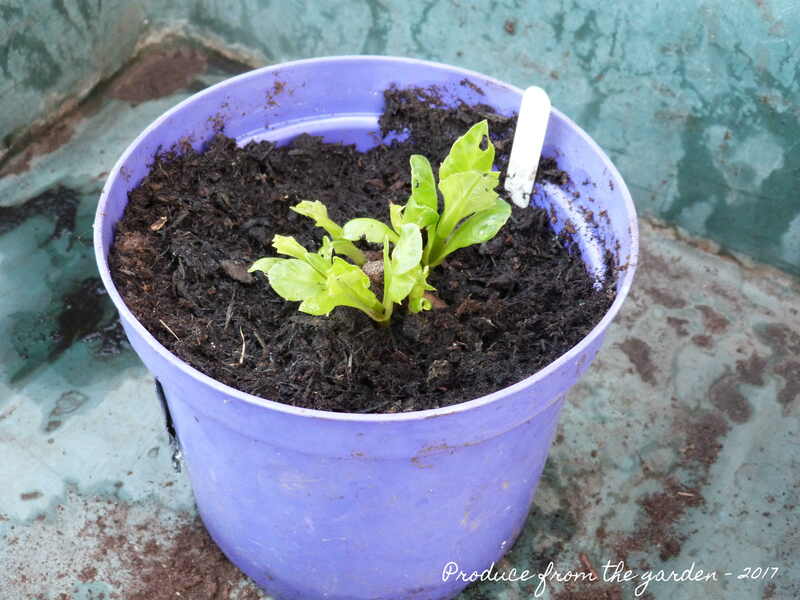 They will germinate fine directly sown, but, slugs love baby Sunflower plants! 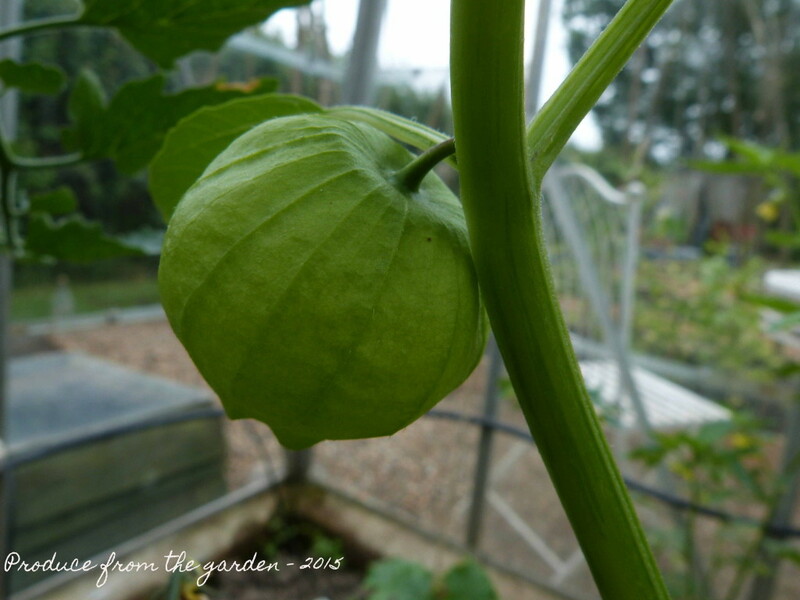 Pop one seed into a medium sized pot, allowing sufficient space for growth. The Sunflower stem needs to establish a strong pencil sized thickness to survive slug attacks. Choose a sunny position and plant out in mid May after the last frosts. Hammer in a tall stake or sturdy cane next to each plant; they will need regular tying in to prevent the stem being damaged on a windy day. Six plants will provide you with armfuls of flowers through summer to the first frosts. 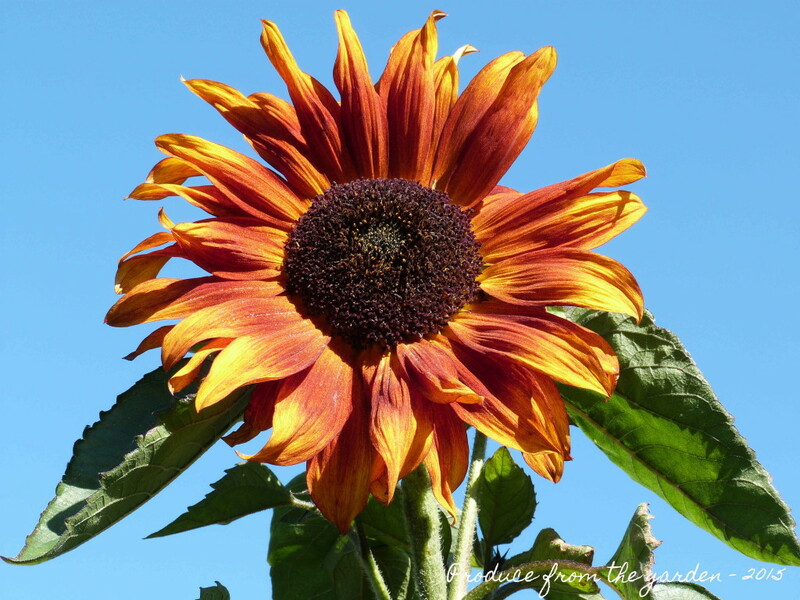 Sunflowers look fabulous in a vase on their own or mix with other statuesque flowers. They can also be used as the star performers in a bouquet. A cottage garden essential and the hardest working annual in the garden. 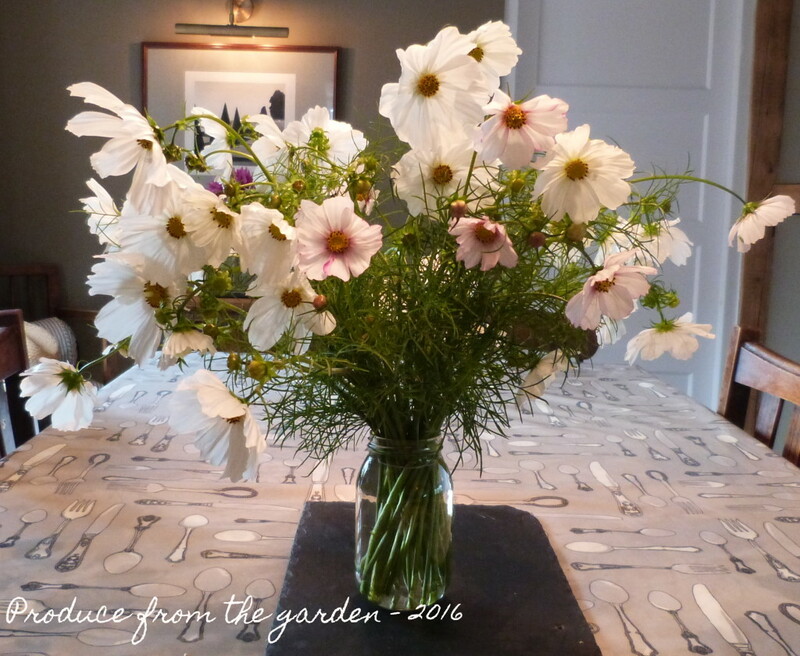 A bunch of Cosmos on the kitchen table is the epitome of produce from an English country garden. This delicate looking stunner is a flower straight from a child’s imagination, depicted in their drawings. Easy to grow and available in white or any shade of pink. 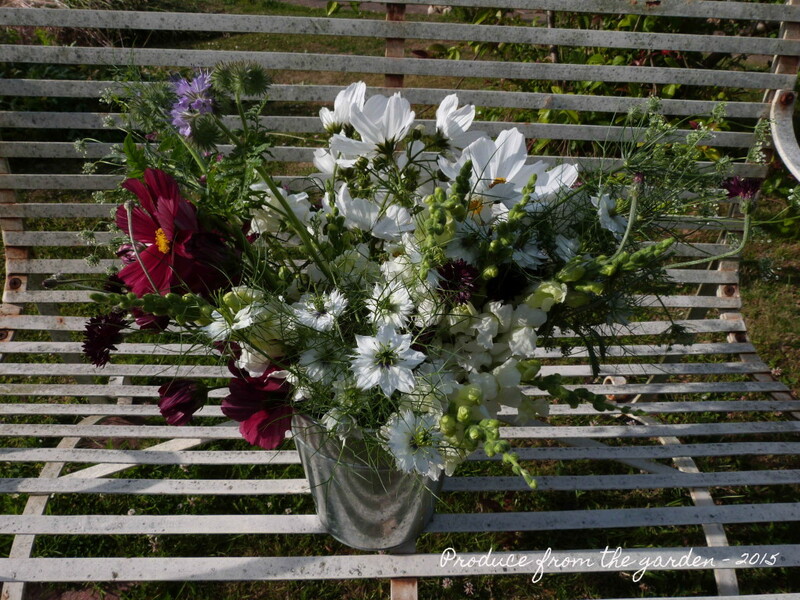 Cosmos are half hardy annuals so it’s best to sow them under glass or on a window sill. Sprinkle a few seeds into a pot of seed compost and cover with a thin layer of the same compost. I sow double the number of seeds I need. Most will germinate. It’s all too easy to sow too many ending up wasting seedlings and seed that can be used the following year. Once the seedlings start to get their first set of true leaves pot them on into individual pots where they’ll thrive. Plant out after the first frosts choosing a sunny site. 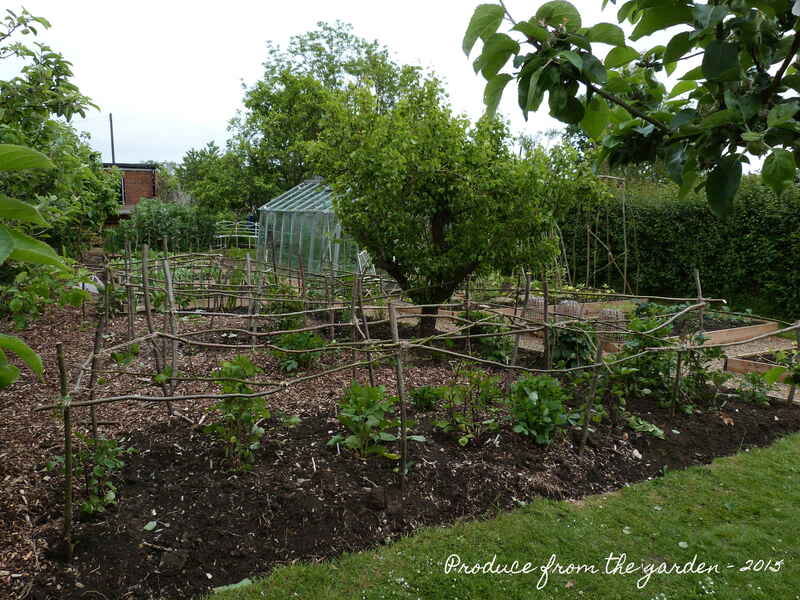 Stake or secure a pea netting framework over them to provide a supporting structure when they’re large plants. Keep well watered through the summer and you’ll be rewarded with bountiful flowers. I love a big bunch of Cosmos on the kitchen table. 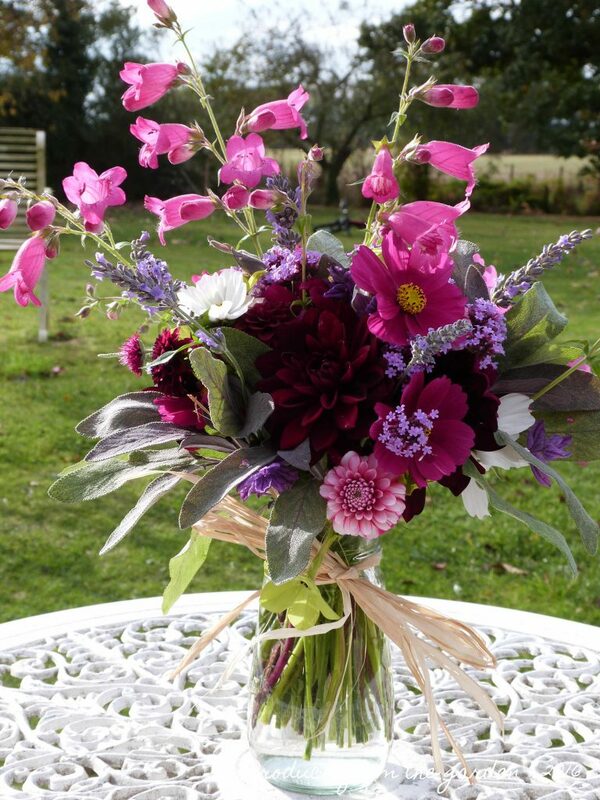 They also look beautiful in a posy with other cottage garden flowers. I’m a bit potty about Dahlias. Every year I always sneak a few new varieties into my potting shed! These beauties are the stars of the ball. They come in many different shapes, sizes and colours and they all put a great big smile on my face. A single £2.50 tuber will reward you will with masses of flowers from early summer to the first frosts for years. Sadly they’ve acquired a high maintenance reputation which I would like to dispel. Make sure the tubers you buy are firm and not squishy. March to April plant them in a 3 litre plastic pot. After a few weeks they’ll start to shoot. If you get more than 5 or 6 shoots, remove them giving space for the others to develop into a bushy plant (removed shoots make successful cuttings). By mid May after the last frosts you’ll have a strong bushy plant ready to put out. Choose a sunny site for them and build a sturdy frame (I use hazel stakes) around the Dahlia to protect from wind damage. Once they start flowering keep picking. Letting flowers go to seed will halt flower production. After the first frosts cut the Dahlias back and cover with a thick 20 cm mulch (rotted manure, wood chip or anything that will help insulate the tuber over winter). Come Spring reduce the level of mulch and feed. 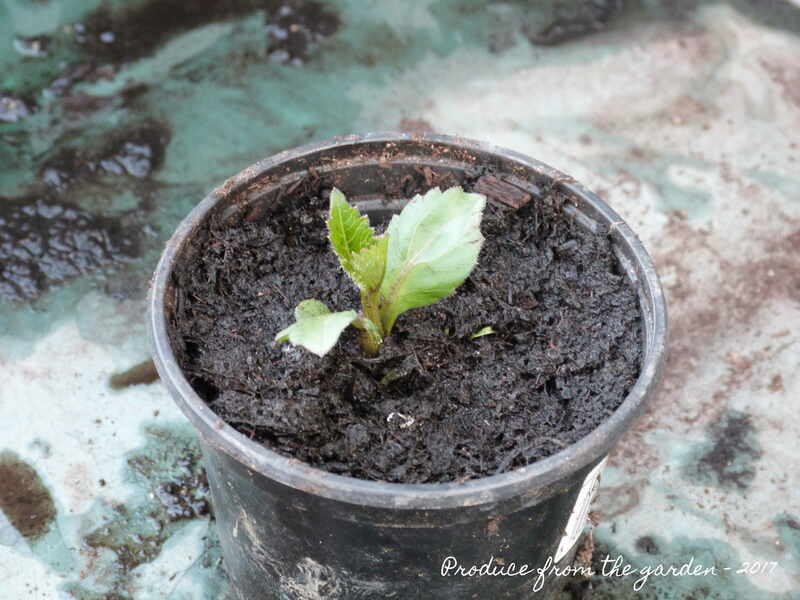 As the soil starts to warm Dahlia shoots will emerge again. 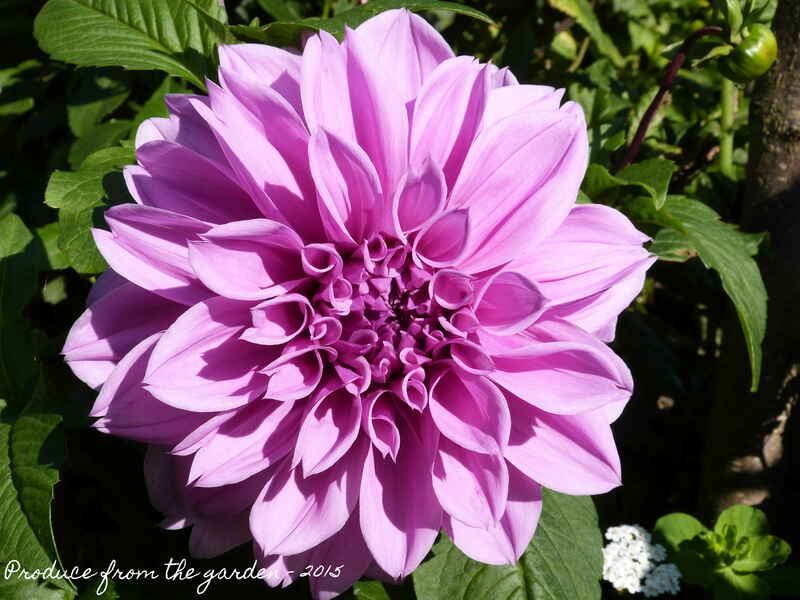 This low maintenance Dahlia method has worked for me during the coldest of Kent winters. Stunning as single stems in a small vase or bottle. Group together, or use in a mixed arrangement. 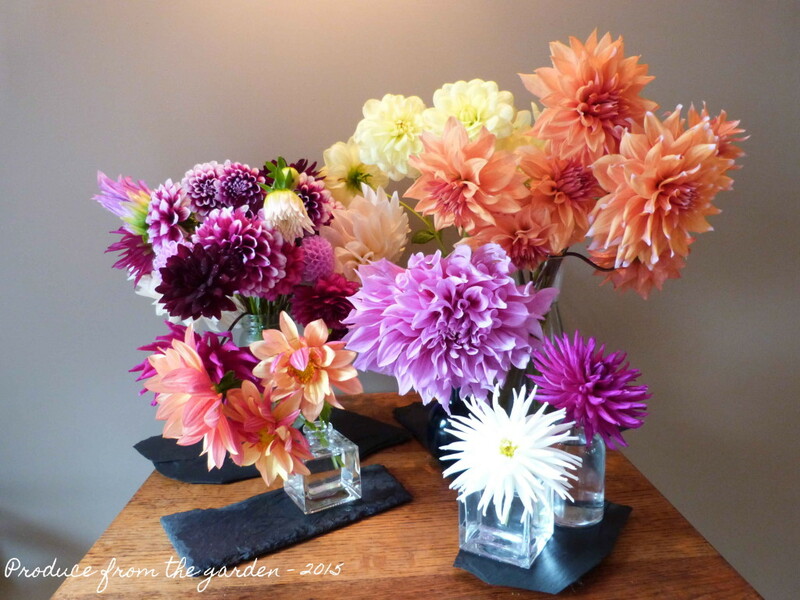 Still no frost yet in Kent, so I’m thrilled to be filling the house with dahlias in November, long may it last. 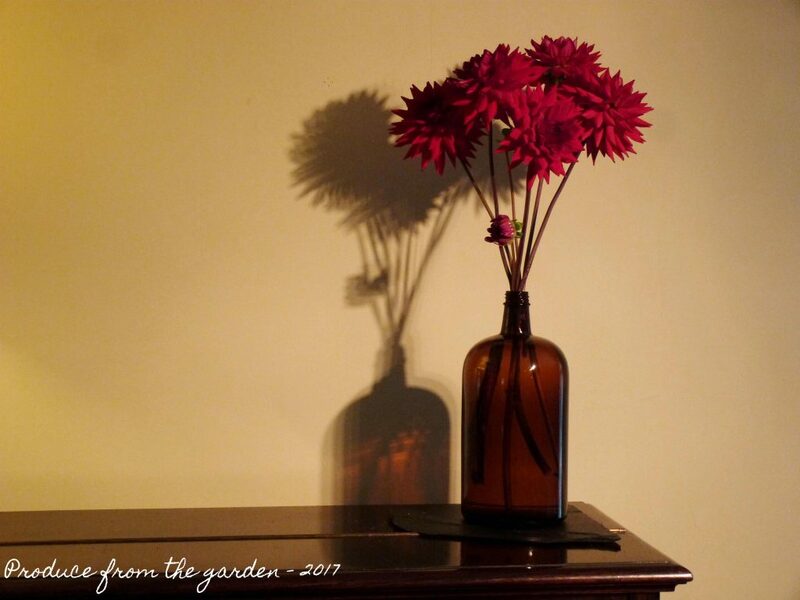 The stems are getting thin and weak but with the right vase they’re still giving life and colour to our home. 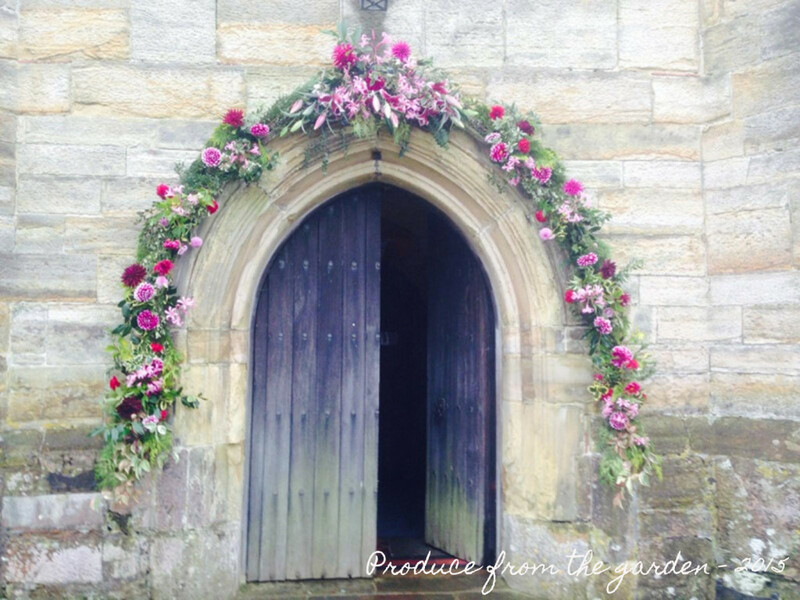 My dahlias were used by a friends talented Mum who created this beautiful arch around a church door for a wedding. 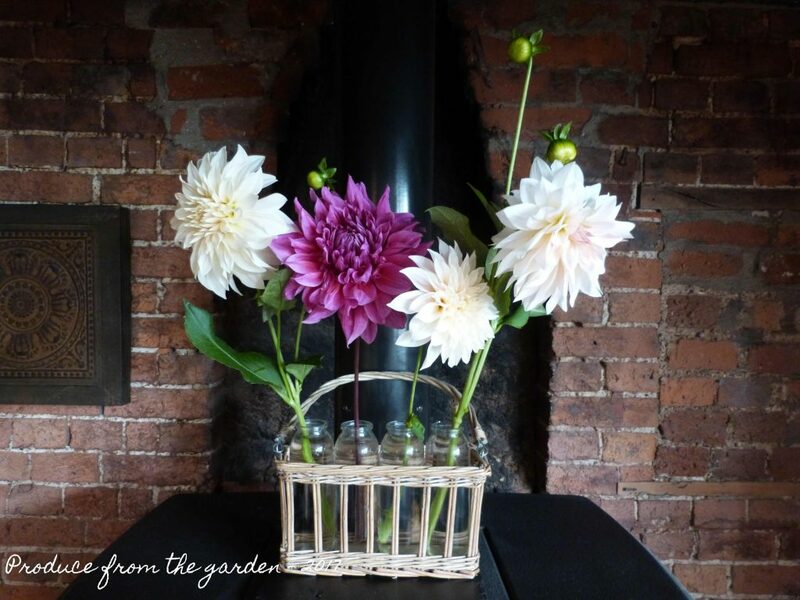 It’s lovely to see the late season dahlia blooms put to such a stunning and lovely use. Thank goodness we’ve not had a frost yet here in Kent. September has been the month to sit back and enjoy the dahlias; they have been exceptional this month. 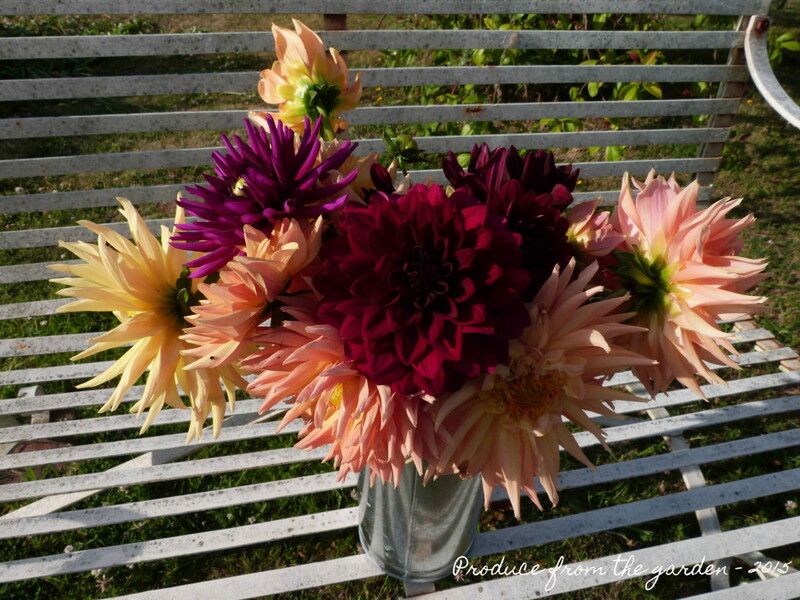 Dahlias are the hardest working flower in the kitchen garden, the more you cut, the more flowers they send up. They never show signs of tiring, and I’m guaranteed armfuls of blooms from July until the first frosts. 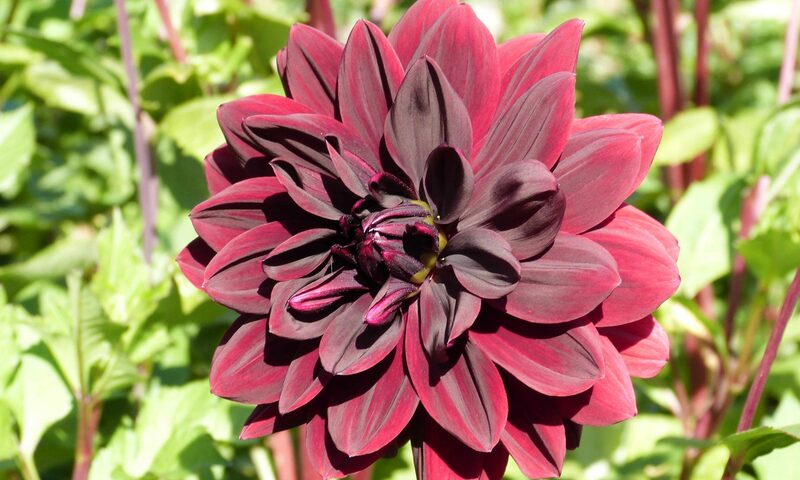 I hope this has inspired you to start thinking about the dahlia tubers you’ll be ordering next year. 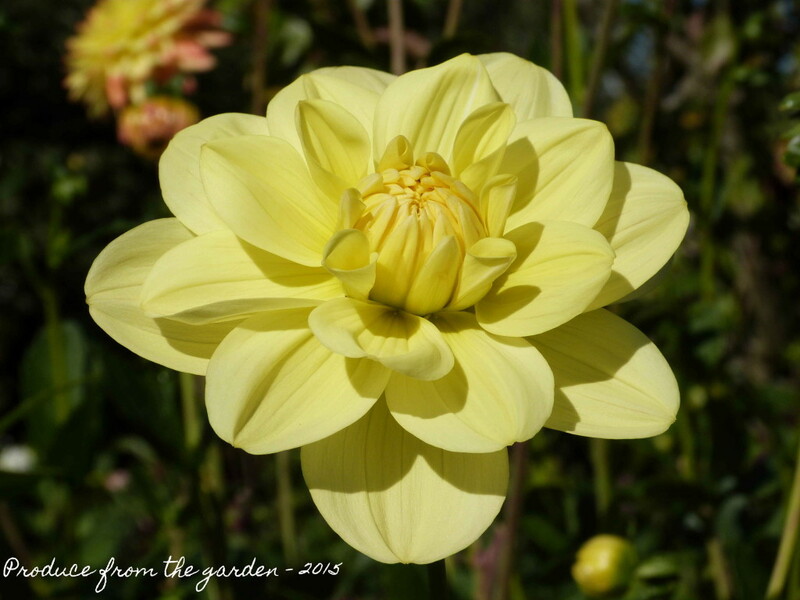 A great place to start looking is The national dahlia collection website, it has a good system to help you search. It’s certainly worked for me, I’ve run out of room for dahlias in the kitchen garden so am going to build some raised beds in the front garden to squeeze a few more darlings in next year! Corr…I love a dahlia! Here’s this evenings crop ready for my £1 honesty stall tomorrow. Shame it was a grey overcast evening, they look so much better in evening sunshine. They’re my desert island disc flower and luxury! This evening I’ve cut my first bucket full of flowers from the cutting border and another bucket from the dahlia bed. Both are conditioning overnight in a cool dark place (helping to extend their life) before I pop them into vases tomorrow. This crop will be a drop in the ocean compared the number of bucketfuls I’ll be harvesting in a few weeks. It always amazes me how a few plants can produce such an abundant crop of flowers. My youngest and I have recently discovered how fabulous Mulberries taste. We’ve kept this our little secret as the tree (planted by the previous owner) is still young and the crop not huge. Just enough for a little treat as we pass by. 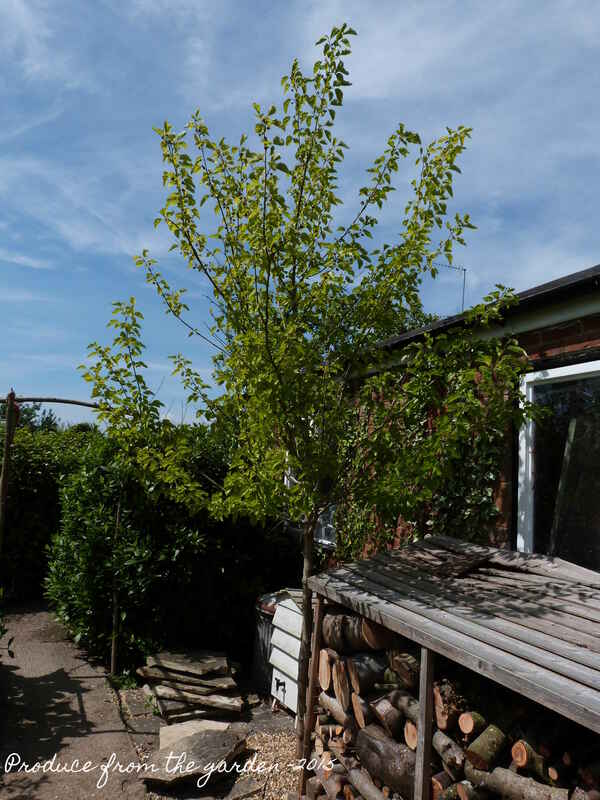 Eventually we’re going to replace the existing garage, so the tree will need to be removed. 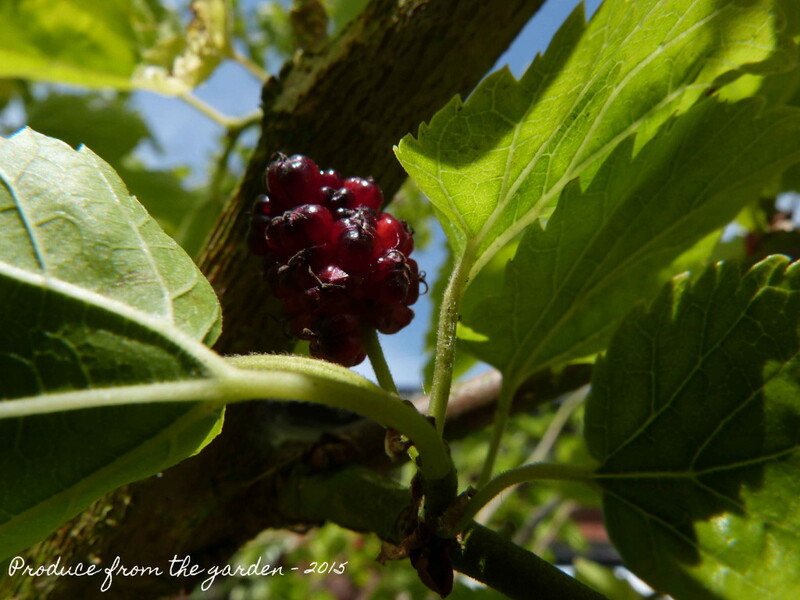 Whilst the Mulberry is still young we plan to relocate it, offering it the best chance of survival. We’ll wait until autumn before we embark on what I suspect will be a tricky, heavy and exhausting caper which the husband will be recruited to assist with. May is ending on a wet note. I’m not complaining, the weather this month has generally been good, friends have even commented on my gardening suntan. The newly planted dahlias have been looking a bit limp and in need of a good water. The dahlia bed is not linked to a watering system; past experience has proved that dahlias can survive a fairly dry summer. When first planted out they do need regular watering to give them time to establish. So this wet end to the month has come at the right time. I have finished constructing the frames in the dahlia bed. 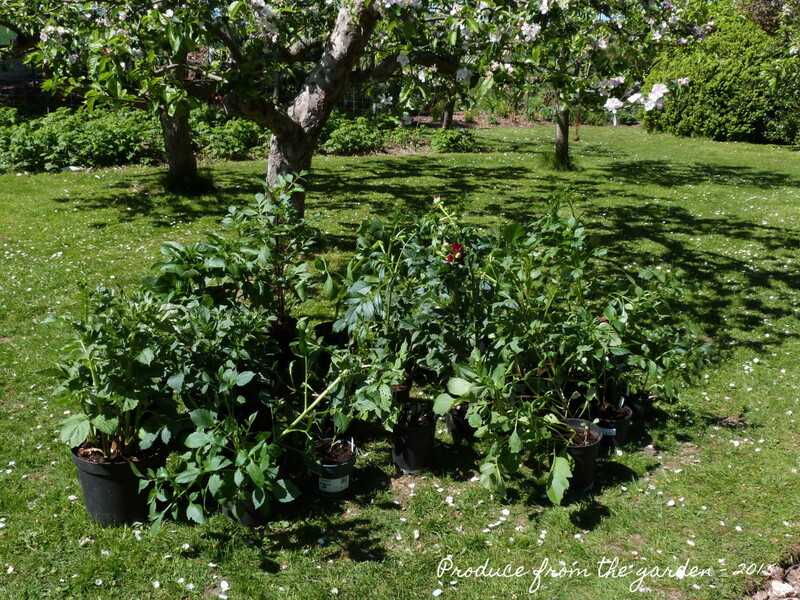 This structure gives the dahlias support as they grow. A strong wind can easily snap dahlia stems at the base restricting dahlia produce for the year. My herb bed which I planted outside the kitchen door last year is flourishing, the chives and thyme are both in flower and looking stunning. 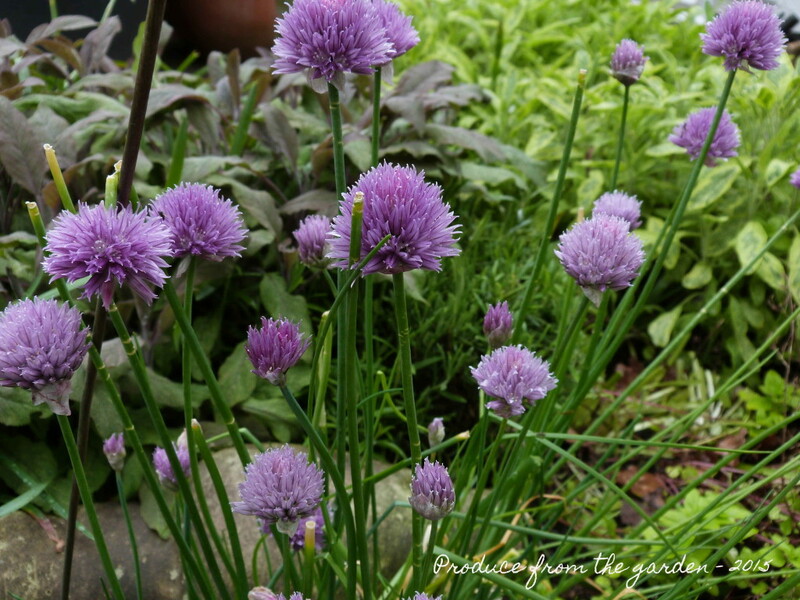 I will cut the chives back hard as the flowers go over, this will produce lots of new fresh growth and stop the flowers setting seed, leaving me with chive weeds everywhere. 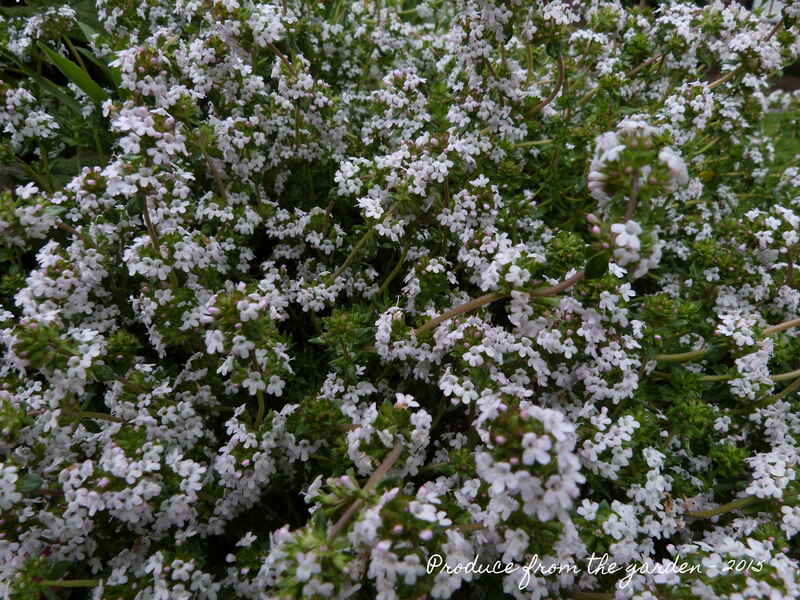 Once the Thyme has finished flowering I will lightly prune this, stimulating new fresh growth to crop for the kitchen. My Broad bean plants are well over 4 feet high, laden with flowers and at last I have some miniature bean pods developing at the bottom of the plants. Hopefully I’ll only have to wait another couple of weeks to savour this produce from the garden. 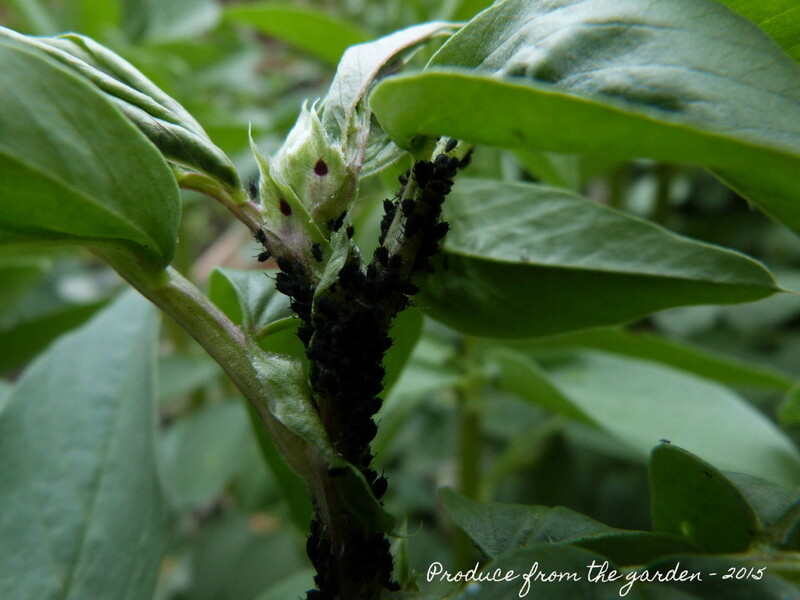 I have spotted today that black fly have discovered the fresh luscious top shoots of the broad bean plants. It’s now time to cut off the tips, taking away the temptation for the black fly, who if allowed will heavily infest the plant resulting in poor pod formation. We had our first dish of turnips this month. Once they reach golf ball size they’re ready for the kitchen. I simply steamed the turnips until tender. Cut them into 1cm sized cubes and finished them off in pan with melted butter and a selection of fresh herbs presented to me by my eldest, a handful of marjoram and thyme. They were delicious and got thumbs up from the whole family. 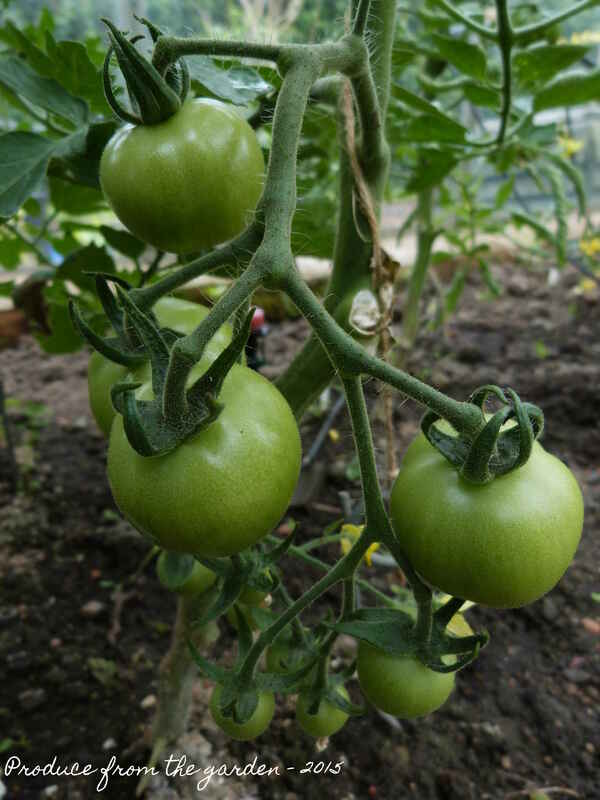 The greenhouse has thrived this month, we have lots of green tomatoes, a tomatillo forming, mini cucumbers and lots of basil, a companion plant for the tomatoes, the basil helps repel whitefly, mosquitoes, spider mites and aphids, it improves tomato health and flavour. We’ve started to crop our perpetual spinach; this really is a kitchen garden essential. I only put last years plants on the compost heap last month. There aren’t many vegetables that provide produce 11 months of the year. 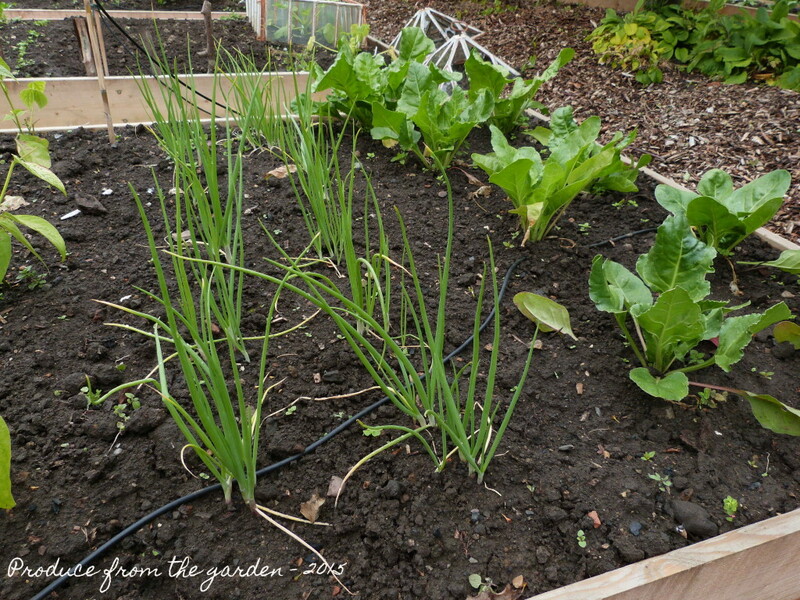 The shallots which I sowed in modules and planted out without separating individual plants are doing really well; they seem to be spreading out making space for themselves. This is a great time saving tip for growing shallots from seed. 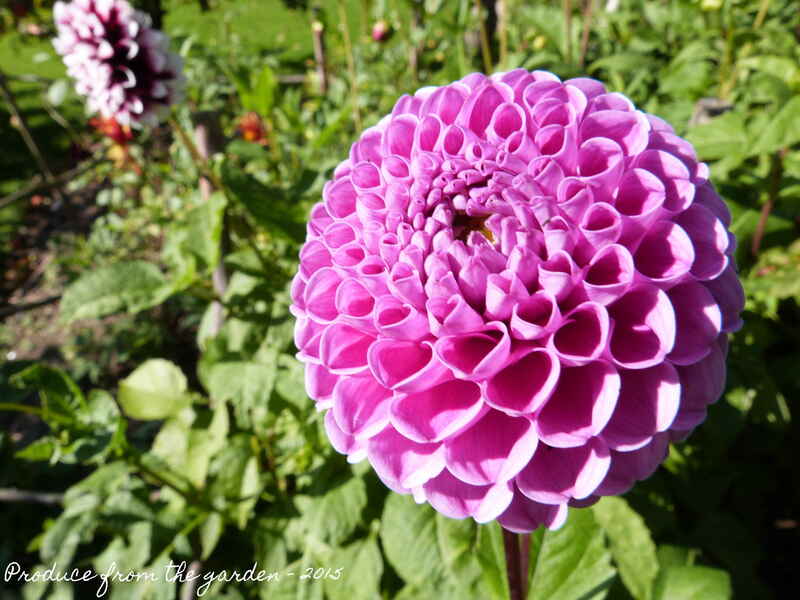 Those who regularly read the blog will know that my number one garden passion is the dahlia. 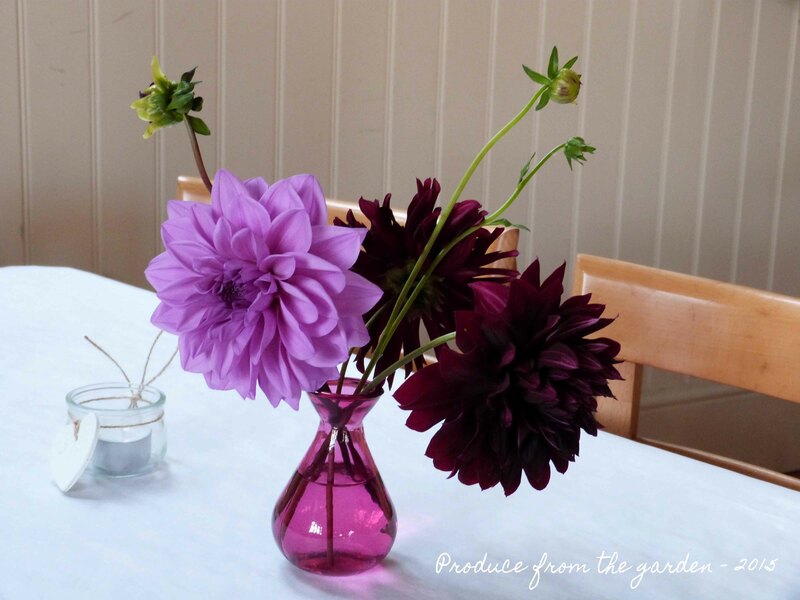 Dahlias produce magnificent flowers in gorgeous vibrant colours, varied shapes and their sizes can range from a delicate 5cm pom pom to a colossal dinner plate sized beauty. Dahlias are the most abundant and lavish cut and come again crop in both the flower and vegetable world. They look stunning as single stems or a bunch. In an arrangement of blooms they are the show stopping star. I love them. Half of my dahlia collection has been in the ground over winter, topped with a heavy mulch of wood chip to protect the tubers from frosts. The other half were potted up with slightly moist multipurpose compost and stored overwinter in the conservatory. 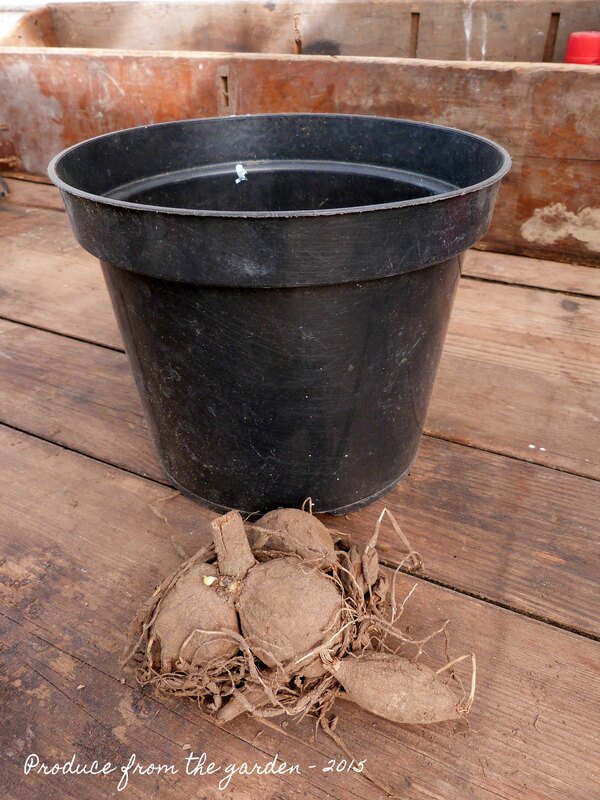 In late winter I started to gently water the pots and shoots from the tubers emerged. 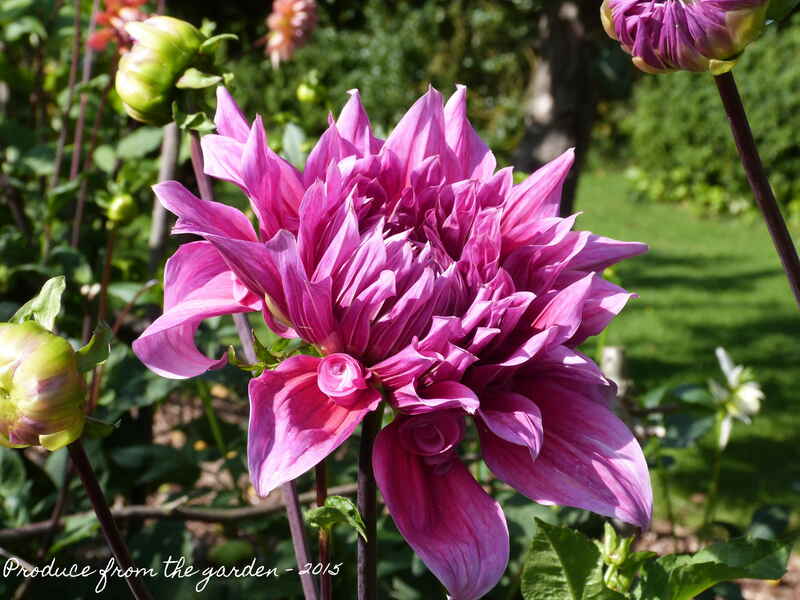 These dahlias have flourished many reaching a good two feet, one is even flowering. Once there was little risk of frost they were put out to harden off. 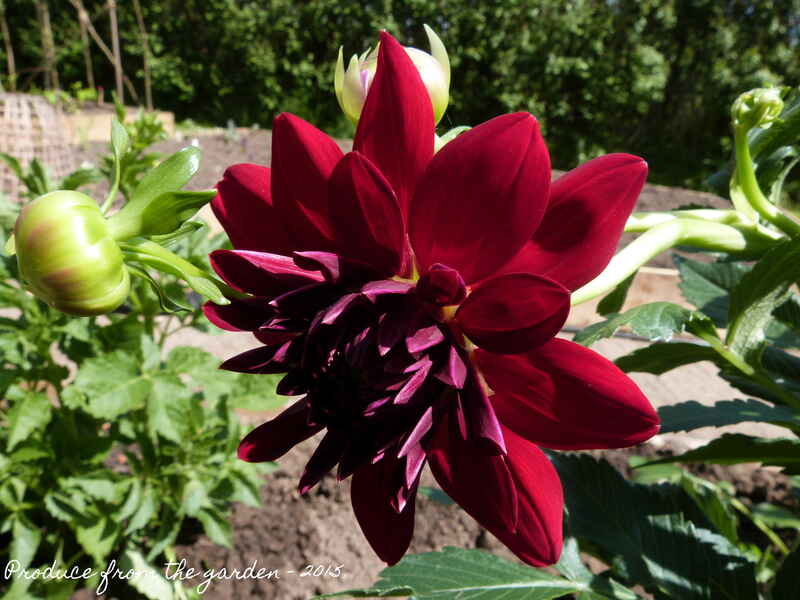 Dahlia Con Amore, flowering in May! I removed the insulating wood mulch from the dahlias left in the ground a few weeks ago. Shoots are now emerging from all of these, even though we had some cold nights reaching -10°c this winter. I’ve weeded, enlarged (a few additional beauties have been acquired) and planted up the dahlia bed. The cleared wood chip used to protect the tubers overwinter has come in useful making paths between the dahlias, giving access for cutting the flowers. I am also experimenting with gladioli this year so have a row of acid green and dark rich purple galds which I’ve sneaked into this border. Around each dahlia I have built a frame made from my coppiced hazel. They all need good firm support to grow lovely long straight stems for cutting and to protect them from wind that can easily flatten and snap unsupported stems. I love dahlias. 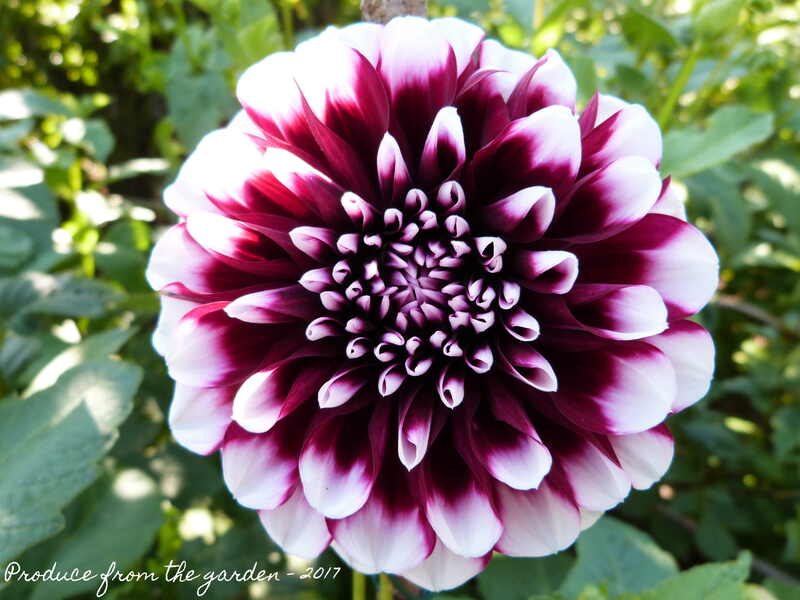 I first came across them in the Dahlia Garden at Mendocino Coast Botanical Gardens, North California in 2005. My passion for them was instant, each flower a beautiful sculpture, the vast range of colour and shape just looked stunning en masse. It became the highlight of my California holiday, an enlightening moment. The Big Sur or El Capitan in Yosemite paled into insignificance. In the past I’d steered well clear of what I considered to be fuddy-duddy, complicated, troublesome, blowsy flowers. Now they are my slightly obsessive garden priority. How on earth can a girl live without dahlias! 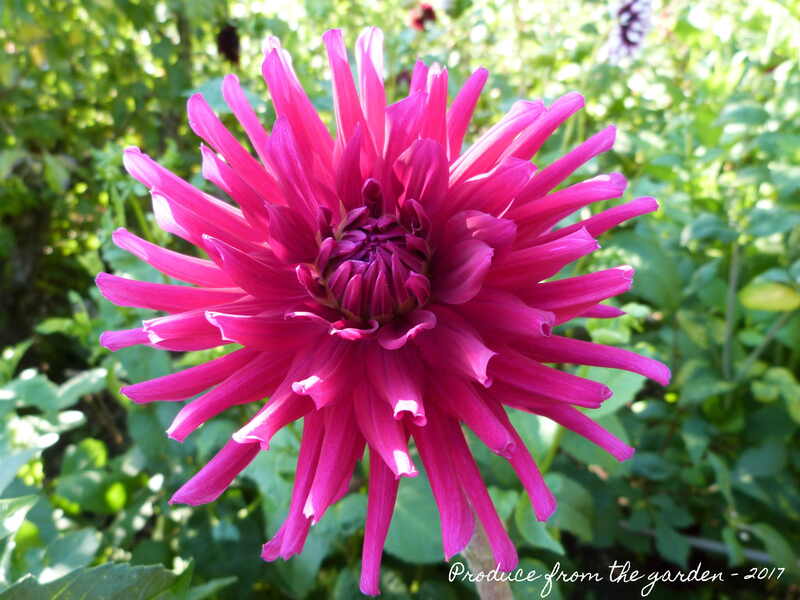 With a little bit of love and attention a dahlia will pay you back 10 fold and more. I fill the house with them from June to the last frosts in November. I tend to leave my dahlia tubers in the ground over winter. After the first frost I cut them back and cover them with a 30cm mulch of leaf mould, compost, wood chip or whatever I’ve got to hand. At the end of March I’ll take off the mound of mulch, feed with fish, blood and bone, and allow the dahlias to shoot through in their own time. If you want to move dahlias or divide them, the tubers need to be dug up after the first frost, cleaned and left to dry for a couple of days in a greenhouse. 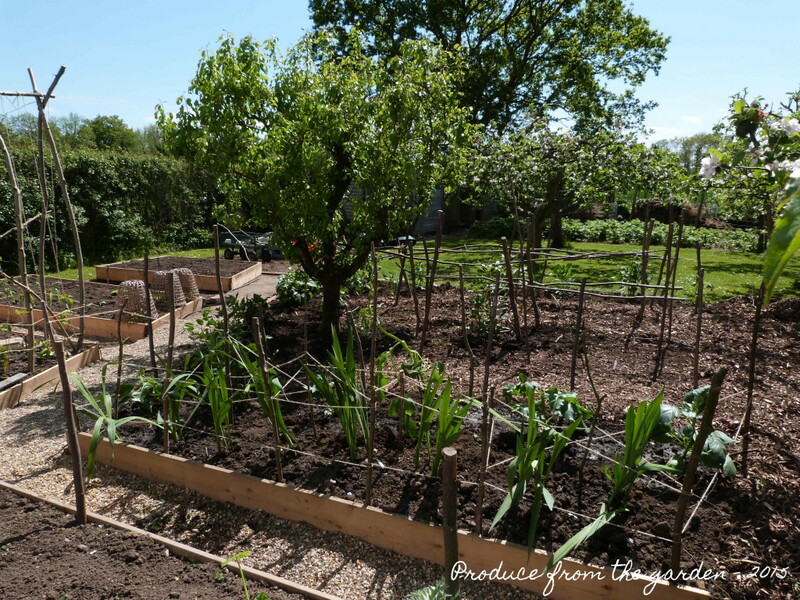 Then cover with a dusting of compost and store in a dry shed or garage where they won’t freeze. Come March pot them up, and let them grow on in a greenhouse or conservatory, by May when there is no frost risk, plant them into the garden. Most of the tubers I’ve dug up in the past have survived the winter, sadly my all time favourite ‘Thomas A Edison’ rotted to a mush when we moved. The husband, who must listen to some of my witterings, gave me replacement tubers for Christmas. A lovely friend who has a Brewery making the most amazing ale in South West France (www.brasserieduquercorb.com), treated me to Dahlia ‘Cafe au Lait’, a variety I’d coveted for some time. So I’ve been in my conservatory (home to all seed sowing and precious plants) potting up my new dahlias. I’m excited to see the blooms in a few months. 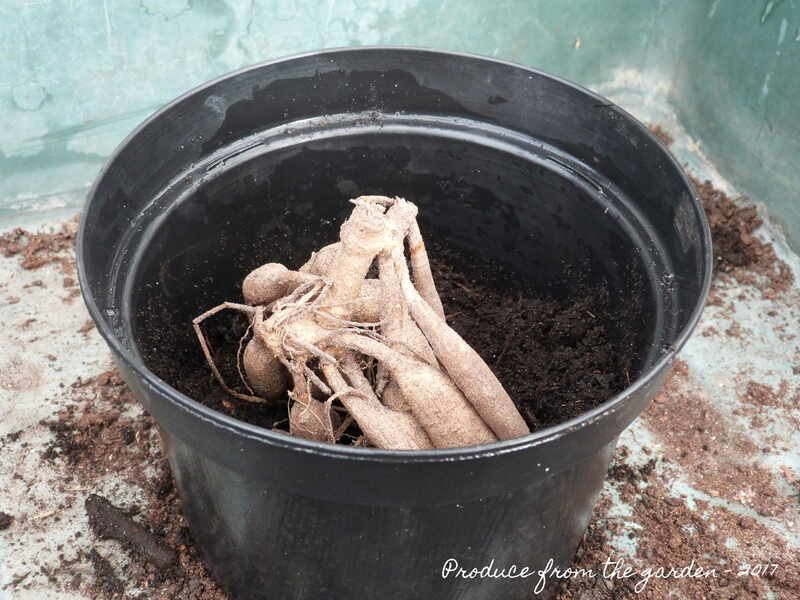 Cafe au Lait tuber ready to be potted up.